Money. At a base level, that’s why people work—to earn a paycheck. And it’s a ton of work to find a new job. Most people just don’t have the time or energy to manage their job, family responsibilities, and other parts of their life with a sustained job search. So they keep working jobs where they aren’t particularly happy. 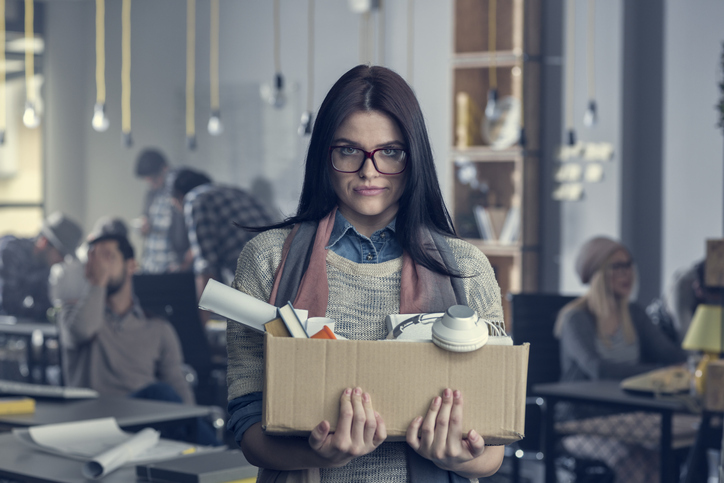 But if you’re starting to become “actively disengaged,” your behavior might eventually be grounds for dismissal. You don’t want to transform into that one bitter employee in the office everyone avoids. Here are a few signs it might be time to start looking for a new job. *Note: Feeling disengaged doesn’t mean you’re a bad person. If you’re exhibiting these types of behavior, it may mean you aren’t happy and need a change. This doesn’t necessarily mean you find your boss annoying or that you wish they’d promote you and give you a bigger raise. This is when those seemingly small slights pile up and combine to create deep feelings of resentment. You’ve tried to speak to your boss about some of your problems, but nothing came of those meetings. Now you see them as an obstacle rather than a helpful resource. Bad bosses are often the reason employees aren’t happy. If that relationship turns sour, it may affect your opinion of your work, or even the company as a whole. When you’re unhappy in a job, you might start to take everything personally. Instead of seeking a resolution or being optimistic, you immediately react with negative thoughts. For example, the company might announce a new initiative and you respond by groaning about how much more work this is going to cause you. Or a co-worker doesn’t reply to your email for four hours and you think of it as a personal insult. Instead of trying to discuss these feelings with your manager, you bottle them up inside and just stay angry. These feelings are understandable, but unprofessional. You might think you’re hiding your resentment, but it will inevitably bleed into your work. The only thing you care about is doing a good enough job to keep getting a paycheck. That’s a problem because it means you won’t ever progress. You won’t get a promotion, you won’t get a raise, and you certainly won’t get out of the company you’re so ambivalent about. This feeling of not caring doesn’t sound so bad, but it’s poison. It saps your energy. If you don’t have some sort of goal in life, something to work toward, what’s the point? Everything becomes about getting through the day so you can get through another day, another week, another month, and so on. But it doesn’t have to be that way—ready for a change? Express Employment Professionals wants to see you succeed. They understand that your current job might not be for you, and want to help you get into a position where you can thrive. They can handle the job search while you deal with the complexity of your life. You can contact your local Express office, register online, or download the app on the Apple App Store or Google Play. It’s a new year—why not make it a great one with a new job? Do you dislike your job? Why or why not? Let us know in the comments section below! Previous Post Poll Results: Does Your Company Have a Workplace Chaplain? Next Post Question of the Month: What is Your Preferred Method of Interacting with a Company During Your Job Search?